Hi its me again! I don't think I've done this post but if I have its been too long since I said it. Wizard101 and Pirate101 have done a ton for me, maybe not physically but mentally. Most of my life I've been bullied, it doesn't help I suffer from depression, but wizard101 and pirate101 helped a TON! I thought about just ending it a few times, but I always had that magical world of pirate101 and wizard101 to help me. Video games in a way allowed me to be in a different world, one where I wasn't a social outcast, one where I wasn't constantly under the fear of a big older kid walking by and making fun of me or push me around. 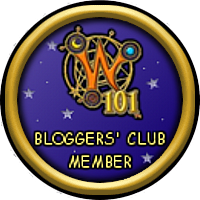 Wizard101 was my first true MMO, I was quiet and reserved, usually keeping to myself but I made a few friends along the way. I haven't seen some of these friends in awhile but if they logged back on we could talk like nothing happened! (same with pirate101) Its just that these magical worlds, ones where anything could happen, allowed me to trust people and open up again. When pirate101 came out I took a break from wiz to enjoy KI's new game, I became more of a member on the community by joining the message boards and joining the get together's and parties hosted by the boards and fan sites. These helped me a ton with my social skills and because of that I was able to make more friends in real life. It was about the time of high school where the bullying stopped. I owe that to Wiz and Pirate mostly, because I was able to come out of my shell and be social in video games I wasn't afraid to do that in real life. There are others like that out there, playing video games to escape the world which is so cruel to them for no real reason. That's why it saddens me to see the community starting to become more toxic. But enough of that, I just wanted to say thank you to Kingsisle for helping me get through some tough times and helping me end them. I might not be here without you and wanted to let you know that you do help people, even if you just make games :D goodbye for now and cya in the spiral! Who is the most powerful enemy in wizard101?